1. How many cases of my type has the attorney handled? You want an attorney who has represented clients in many cases exactly like, or very similar to, your own. In other words, you don’t really want your attorney to be learning as he or she handles your case. If you are paying by the hour, for one, it would end up cost you more, and for another, a non-experienced Nevada divorce attorney could miss things that a more experienced one will spot. 2. How well does your attorney and the attorney’s staff communicate with you? A good Nevada divorce lawyer knows how to communicate. Does the attorney and his staff write well? Are you easily able to understand what they say in emails or other written communication with you? Chances are that this same style will be used in documents filed with the Nevada Divorce Court so pay attention to this. 3. Are you comfortable in your dealings with the attorney and his or her staff? A good Nevada divorce attorney for you is one with whom you are comfortable. Does the attorney or the attorney’s staff, make you feel ill at ease? Do you feel like you’re not much of a priority when you interact with them? With the next chapter of your life at stake, you don’t have time to deal with additional emotional clutter brought on by feelings of lack of trust or insecurity when you deal with the attorney and the legal staff. 4. Can you ask and get a flat fee if your case is uncontested? Some lawyers will charge a flat fee, based on certain tasks and court filings typically expected for an uncontested divorce. You should ask for this if your spouse is not contesting your divorce. If you have a contested matter, ask how much the retainer is, but also ask if there is a difference between the hourly fee charged against the retainer when the attorney is working on your case outside court, and when the attorney is in court on your behalf. Ask for an estimated fee for the whole case, based on similar previous cases. Are there any refunds ever? Is there a payment plan available? How are payments broken down? 5. Does the attorney have personal experience with the family law arena? Has the attorney been married and, or, divorced? Does the attorney have children? Lawyers are human beings too, breathing and bleeding like everyone else. A divorce lawyer with personal experience in the family law arena is likely to have more empathy for you than an attorney who has never experienced a divorce. 6. Should you retain a male or female lawyer? A man or a woman lawyer does not make a difference. A good lawyer can represent either gender. Men’s attorneys or women’s attorneys tend to use this as a marketing gimmick more than actually doing a more effective job for their male or female clients. Ask whether the attorney is comfortable representing a man (or woman)? Ask if he or she can refer you to a good lawyer who is a man (woman)? 7. In a contested divorce, you should ask if the attorney is friends with your spouse’s attorney. This isn’t supposed to matter, but you will most likely feel more comfortable knowing that your attorney and your spouse’s attorney don’t hang out together socially. In all likelihood, it wouldn’t affect your case, as attorneys are bound to represent you to the best of their ability and besides, the competitive instinct is sure to kick in when faced with an attorney friend in the courtroom, however, you might always wonder if the friendship had something to do with it if things don’t go your way completely. 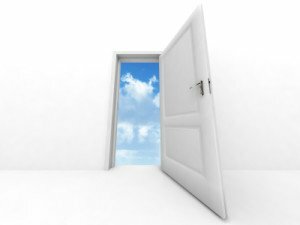 Yet one more additional thing you do not need on your emotional plate during your divorce. 8. Can your Nevada divorce attorney ethically represent both you and your spouse? An attorney can represent both parties in a joint petition divorce. Should something happen along the way and one or the other of you decide to no longer pursue a joint petition divorce, the attorney cannot ethically continue to represent either of you in a one-signature divorce if he or she has had direct contact with both spouses. If the attorney and the staff have only been in contact with you alone, then in certain cases, this same attorney can continue to represent you only in a one-signature divorce. 9. How aggressive is the attorney? A skilled Nevada divorce attorney, one who knows how to negotiate and mediate is often better than an aggressive trial lawyer. So, ask the attorney if he or she tries the negotiation route before aggressively attacking the other side, which only makes them want to become much more aggressive in return. Also, when you mediate, you come out of the divorce feeling less acrimonious towards your spouse and usually with more money left in your pocket. All in all, just ask as many questions as come to mind and do follow your instincts. Don’t hire an attorney who makes you feel uncomfortable just because you heard that he or she is a really good attorney. You want experience and talent, yes, but if you feel uncomfortable sharing your situation with the attorney, it will make an unpleasant situation (getting a divorce) worse; at the least, you should feel better having the attorney you retain on your side. You live in Nevada, and you’re about to get a divorce. You’ve been married a few years and your spouse earns somewhat less than you, or stayed at home to raise your children or because you didn’t need two incomes. 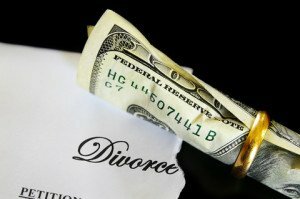 Now that you are getting a divorce, you wonder if you’ll have to pay spousal support or alimony. And for the sake of clarification, know that spousal support is what is paid before the divorce is granted (usually ordered as part of a legal separation settlement), and alimony is what is paid after the divorce. In Nevada, the statutes list only things a judge will take under consideration when deciding whether or not to grant spousal support or alimony. There is no actual, “set in stone” table to follow based on income like we find for child support. In some cases, in lieu of, or in addition to, the Nevada court might grant alimony or support to a spouse for the purpose of obtaining training or education in order to attain new employment, or better employment. Should alimony be granted for the purposes of education or training, more often than not, the judge will also order that the spouse getting the alimony start the training within a specified amount of time after the granting of the alimony. And more often than not, there is a reasonable time limit placed on it, usually for the length of time it takes the spouse to train or retrain. 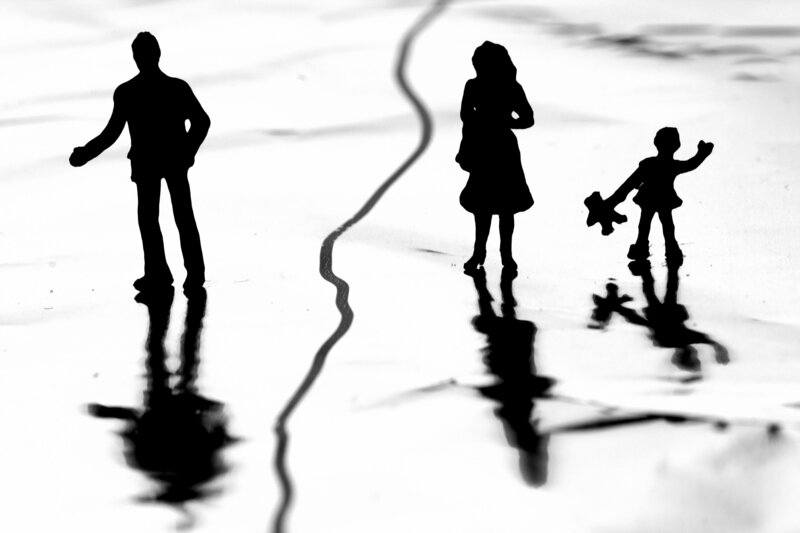 What is Collaborative Divorce (mediated divorce)? A collaborative divorce entails the divorcing couple meeting with a licensed mediator (oftentimes a divorce attorney) in order to fairly divide property, as well as to decide issues of child custody, visitation, and child support. This type of divorce is also known as a Mediated Divorce. A mediator is obligated to keep a neutral position by only talking to both parties at the same time, all the time, except perhaps when scheduling a mediation session. This way, you can feel confident that you know everything being addressed and that you didn’t miss out on something the mediator might have told your spouse. Discussing issues of child visitation, physical custody, and child support often proves difficult for couples about to divorce. Having an experienced, licensed, third party present (the mediator) to guide the discussions and to answer questions about divorce laws and what is customary in a Nevada Family court goes a long way in helping keep things civil and fair throughout the divorce process. Other issues usually addressed during mediation are property and debt division, as well retirement accounts, if any, which come into play for longer-term marriages. The idea here is to come out of the mediation (and ultimately the divorce) feeling that the community property and debts (and retirement money) were divided fairly between you and your spouse based on your particular circumstances, rather than having it awarded to you in a manner you feel is unfair by a divorce trial judge who knows nothing of your personal circumstances. You could say that the goal of a collaborative or mediated divorce is to defuse the acrimony that often enters divorce negotiations – without mediation, a tense situation holds potential for a much worse outcome than necessary for all involved: you, your spouse, and your children. Though this should be the least thing you consider when you make important decisions during your divorce, you do save a lot of money, compared to a divorce trial, when you choose to collaborate your divorce. No one benefits from paying exorbitant attorney fees for a divorce trial (except the attorneys). 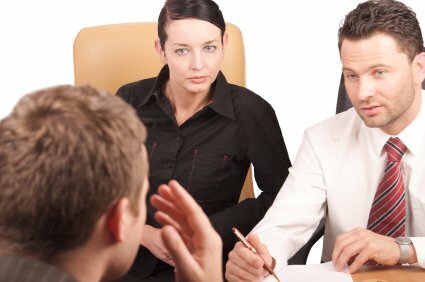 So, if you have children with the spouse you are divorcing and you own property and debts together, and cannot agree on your own on how to divide everything, or you simply feel unsure of what is fair, give serious consideration to using the services of a mediator before moving forward with your divorce in Nevada (or in the state in which you reside). In a large majority of the collaborative divorces this office has facilitated, all issues get resolved in just one session, and represents large savings to the divorcing couple. Bottom line is that a collaborative divorce allows the couple to divorce with as little friction as possible and go on with their lives with little to no hard feelings toward one another (especially important if you are still raising children together). Visit our collaborative divorce in Nevada page for more details on collaborative divorce. You’ll find about as many myths about obtaining a divorce in Vegas as you’ll find about the famous people who divorced in Vegas. Still, it’s not a myth that, once you get past establishing residency in Nevada (we’ll discuss that here too), it actually DOES happen to be one of the best and easiest options for filing a divorce in the U.S.
You see, once you become a resident, a divorce in Vegas takes just WEEKS to finalize, usually one to two weeks, rarely more than three, when both you and your spouse sign the divorce documents. Compare this to California, for instance, where it takes a minimum of six months after filing a divorce to get a final Decree of Divorce: even when both parties sign! Or North Carolina, where it takes a minimum of three months after filing the divorce to get a final decree but only after the parties have been separated for a minimum of one year, another requirement in that state. You’re now talking a minimum of 15 months to get a simple divorce! Most states require parties to live in the state for a minimum of six months to be considered a resident of that state, adding to the length of the divorce if the parties who wish to file the divorce have only recently moved to that state. Not Nevada where it only takes six weeks of living in the state to be considered a resident. Comparatively speaking then, a divorce in Vegas takes no time at all, even taking into consideration having to establish residency if you don’t already live in Vegas (or somewhere else in Nevada). Another factor that simplifies a divorce in Vegas is the fact that Nevada is a no-fault state for divorce, meaning that incompatibility is accepted as a valid reason for filing a divorce in Nevada, which allows a couple to divorce without being forced to wash their dirty laundry publicly, so to speak. Speaking of which, some Nevada family court judges do agree that divorce files can be sealed, another plus, since divorce filings are considered public records. Many states do not allow this at all. Also, when both parties agree to all the terms of the divorce and both are willing to sign, a Joint Petition for Divorce can be filed, another factor that makes a divorce in Vegas faster and less expensive. Once a final Decree of Divorce has been issued, either party is free to re-marry as early as the next day! Unlike many other states, there is NO waiting period in Nevada, another factor that attracts divorce candidates to file a divorce in Vegas. So, with the really short residency requirement period, the no-fault divorce, the Joint Petition, and the really quick-to-obtain final decree, no wonder folks looking for a simple, amicable parting of the ways flock to Vegas (or Reno) to divorce. If only one party signs the divorce documents because the other party just refuses to sign (but will not contest), your uncontested divorce in Vegas will take anywhere from six weeks to 24 weeks, depending on where in the world the Defendant lives and how easy or difficult it is to serve the Defendant with the divorce documents. This is still a much shorter period than in most other states. Be sure to properly establish residency if you’re going to file a divorce in Vegas. Normally, if both parties sign, the court does not question properly done divorce documents. Neither does the court normally question your residency so long as you file a Resident Witness Affidavit along with your divorce documents. The Resident Witness Affidavit is how you prove your residency for a divorce in Vegas. You’ll need to find another Nevada resident to sign the affidavit in front of a Nevada notary. This individual can be a neighbor, friend, relative, or even your landlord who knows you to have lived in Nevada for a minimum of six weeks before filing your divorce. Lastly, note that the ease of getting a divorce in Vegas has attracted some unsavory operators hoping to make money from those desperate for that quick divorce. So, if you’re going to divorce in Vegas, be sure you deal with a reputable Nevada attorney, one you can look up with the State Bar of Nevada and with the Better Business Bureau. There have been incidents of clients dealing with typing services and so-called paralegal services, and even attorneys, a shame to say, who took clients’ money and never bothered to file their cases. So, first, be sure you are dealing with a real attorney and not just a paralegal or typing service “supervised by attorney” and be sure to check out your attorney’s credentials. We do our best to make getting a divorce in Nevada as easy and quick as possible. You’ll have a well-respected lawyer representing you. 1. If you sign a pre-nuptial agreement the prospective husband and wife must attach a list of their separate property and separate debt going into the marriage for the pre-nuptial to be valid. 2. Nevada divorce laws do not have a separate and apart statute for property and debt (like California does, for instance) so until you are actually divorced, absent a pre-nuptial agreement, post-nuptial agreement, or separation agreement, all community income, debt and property still belong to both parties even if the parties have been physically separated for years. 3. In order to file for divorce in Nevada, Nevada divorce laws require that your divorce documents state that you have been an actual resident of Nevada for a minimum of six weeks before filing your Nevada divorce. Nevada divorce laws also require that your divorce documents also state that you have the intent to live in Nevada for an indefinite period of time. The resident witness affidavit will state that the resident witness has seen you physically present in Nevada three to four times per week for the six weeks immediately preceding the divorce. As far as the residency of children, Nevada divorce laws, as per the Uniform Child Custody Jurisdiction Act, state that Nevada has no jurisdiction over children of the marriage until the children have resided in Nevada for at least six months. Now, even though children have not been in Nevada for six months, Nevada divorce laws still give the court jurisdiction over the marriage itself (provided the parent filing the divorce is a current resident) and therefore can grant a Nevada divorce, therefore dissolving the marriage. 4. The Court can consider the wishes of a child of sufficient age and intelligence in determining physical custody of that child. However, Nevada divorce laws do not name a “magic” age when the child gets to unilaterally make that decision. Deference will be given by the Court to teenage discretion but the Court’s standard is always the best interest of the child. 5. Nevada divorce law NRS 125B.070 provides for child support with a maximum on the amount that a parent has to pay for child support based on income level. The amount of child support is adjustable every three years or by special motion filed with the court. In a joint physical custody divorce case, the Court still looks at the disparity of income between the parties and will still grant one of the parties child support even if physical custody is shared equally between the parties. 6. Nevada divorce laws allow a woman the right to change her name back to her former name from immediately before this marriage or to her birth name. She cannot choose just any name the way she can in a name change proceeding. 7. Retirement, pensions, 401(k)s, IRAs, etc. earned during the marriage are considered community property as per Nevada divorce laws. However, the division of retirement accounts often require a Qualified Domestic Relations Order to be prepared before they can be distributed in addition to the Decree Of Divorce. Each spouse is entitled to one half of each other’s retirement benefits accrued during the marriage. A Qualified Domestic Relations Order (commonly known as a Q.D.R.O.) is a procedure done separately from the divorce itself. 8. There is no formula for alimony in Nevada divorce laws like there is for child support. NRS 125.150 leaves alimony to the sole discretion of the Judge. The post-divorce financial condition of the parties is considered, along with the ability to pay, length of the marriage, health and education of the parties and what occurred during the marriage. 9. After the divorce, although the Court maintains jurisdiction over child support and child custody issues and alimony, the Court loses jurisdiction over property and debt issues once the divorce is granted. There is a provision in Nevada divorce laws to set aside a divorce for up to six months under NRCP 60(b) for excusable neglect, mistake and fraud regarding property and debt issues. After 6 months, it’s difficult to re-open a divorce case insofar as property and debt matters. 10. When filing a one-signature Nevada divorce, if the Defendant lives in a different county or state, Defendant may be able to change venue, and, or, dismiss or limit the Nevada Court’s decision to just granting the divorce without matters of property and debt division being addressed. The Nevada Court has no jurisdiction over an out of state resident for property, debt, alimony and the physical and legal custody of out-of-state children in a default divorce in Nevada. A “default divorce” means that the Defendant was served with the divorce papers and never responded. Also, if the Defendant resides in Reno and you filed in Las Vegas, venue can be changed to Reno if Defendant demands it. 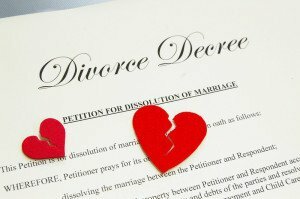 Need more information on filing a Nevada divorce? Our divorce attorney can help. We’ll be easy on your bank account too. depends on the manner in which the Nevada divorce is filed. We hope to clarify things for you here, and offer some tips and tricks on obtaining a quick and easy Nevada divorce. Now, we’re talking about real ways to do this, not fantasies and ads on websites that promise you a Nevada divorce in a day. Unfortunately, it’s no longer that quick and easy to obtain a Nevada divorce. Between the population of Nevada having grown considerably in the past 20 years, and the likes of But, it’s pretty darned quick just the same compared to the majority of other states. 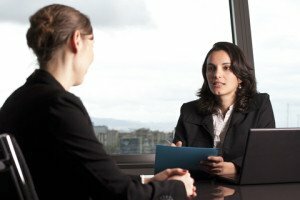 Find an attorney with a good, long-standing reputation (stay away from typing services and paralegal services to avoid potential problems later) who does lots of divorces. Nothing beats a lawyer with lots of experience in filing divorces when it comes to saving time. Some divorce lawyers have begun to offer unbundled services which lowers the cost to the client considerably while maintaining high-quality service, so there’s no excuse that it costs too much to retain a divorce attorney. Do what you can to get your spouse to agree to sign the divorce documents. This ALWAYS speeds things up. In some cases, a joint petition divorce (both parties must sign), especially when there are no children and no property or debts involved, is sometimes granted in as little as two to three days after filing. This is NOT the norm, mind you, however, it does occur, so we can say it’s possible. Just don’t count on it. Generally, if both spouses sign the divorce documents we get final Nevada divorce decrees back from the court in anywhere from a few days to two weeks. It sometimes takes up to three weeks if the court is really busy, or your judge is particularly busy at the time your case was assigned to him or her. Remember that you are undergoing a legal process, ending a legal relationship. Allow the process the time it needs for it to be done correctly. It’s best for your divorce case to take a few days more and have it done correctly than have to fix it again later because it was done in a rush and botched. To have to go back and fix a botched divorce later costs more and takes more time than taking a few more days to do it right the first time around. A few days to a couple of weeks is still a lot less time than it takes to obtain a divorce in most other states (for instance, in California, even with both parties signing, it takes six months to finalize a divorce!! ), so we can still safely say that a Nevada divorce is a quick and easy divorce even if it takes two weeks, right? If you do have children and property and, or, debts to divide, come to terms on the issues before you begin the divorce process. It will save you a lot of time. If you cannot come to terms on your own, consider divorce mediation with a reputable divorce lawyer with the proper credentials to mediate a divorce. This will not only save you a lot of time compared to filing a contested divorce. Not only will you save time, but you’ll save a lot of money. If you have children and you live in Clark County, Nevada, take the required parenting class before your case is filed. It can now be taken online which saves you both time and money (it’s less expensive to take it online, but no travel time to class). Give all the information your Nevada divorce attorney asks of you as soon as possible after you’ve retained him or her. Your divorce documents can’t be created without certain vital information and your divorce attorney can only work as quick as he or she gets the mandatory information required by the court from you to include into your Nevada divorce forms. Your Nevada divorce forms can’t be filed at court without your signature, so until you’ve signed, your divorce attorney can’t file your case. So, once the documents are ready for your signature, make an appointment as soon as possible and go sign the documents at your attorney’s office. Try to sign your divorce documents on a Monday or Tuesday. If you sign the divorce forms at your attorney’s office on a Friday, the case might be e-filed from the attorney’s office on that day, however, the court clerk is not likely to email your attorney the filed/stamped copy until the following Monday, or even Tuesday or Wednesday, and that means that 3-4 days have already gone by. Whereas, if your divorce case is e-filed earlier in the week, we often get the filed/stamped copies back within just hours (though this is no guarantee, it could still take a few days depending on how busy the court happens to be when your case is filed). This counts a lot in a divorce timeline because your attorney can’t send the decree to court for the judge’s signature until he or she has a case number. And your divorce attorney won’t get your case number until he or she receives the filed-stamped copy of the joint petition or complaint filing from the court. Though this is not a tip that will speed up your divorce per se, it will help out greatly if you have a lot of debt accumulated during the marriage and plan on filing a bankruptcy in the future. Consider filing a joint bankruptcy before you file your Nevada divorce. This will save you time and money in that you can share the cost of the bankruptcy with your spouse instead of paying for the whole thing yourself after your Nevada divorce. Below is the child support guideline table for Nevada (as per Nevada Revised Statutes). To better explain the table, which seems to confuse many people if the calls to our office are any indication, we will look at two very simple examples. Look at the table first, then read the examples and things should become clearer for you. Note that there are allowable deviations from these child support guidelines and you’ll see a list of them a little lower in this article. Five (5) or more children: 2% more over amount for four (4) children for each additional child. 1. John’s gross monthly salary is $4,235. 4. John will pay $604 per month in child support to Jane. 2. Jane makes $3,000 per month, so must pay $540 to John as child support. 3. Difference between $604 and $540 is $64, so John pays Jane $64 per month. In Nevada, once you have a Decree of Divorce, if your spouse does not make the child support payments as ordered in the decree, you may contact Child Support Enforcement in the county where you reside. The District Attorney’s Office will take legal measures to collect the child support through any means available to them, including wage garnishment, and bank account garnishment. Of course Nevada Divorce.org (Conexa, LLC) can help you with any divorce in Nevada with children needs. 1. How many divorce cases of this type as this divorce attorney filed on behalf of clients? The more of your type of divorce case the attorney has done, and the more recent the cases, the better job he or she will do with your divorce case. Divorce laws change on occasion so you want your attorney to be up on the latest changes in the law and to have recently been in front of the court on similar matters. 2. Has your attorney ever been divorced? Does he have children? This actually makes a difference. A divorce attorney who has never felt the pain of going through the process of divorce may not empathize with your situation. A divorce attorney with personal divorce experience will understand the emotions you go through and will be more patient with you than a divorce lawyer who has just enjoyed the single life. After all, divorce attorneys are human beings too, breathing and bleeding like everyone else, and as we all know, nothing makes us more aware of the emotions that go along with life experiences than actually living through them. 3. What will be my estimated total fee? Though an attorney is not always able to give you an exact total, he or she should be able to get fairly close barring any unforeseen circumstances, such as your spouse contesting the divorce and demanding much more than is reasonable (or if you kept things to yourself that you should have disclosed to your divorce lawyer which broadside him or her, a no-no!). The best thing, of course, is to retain an attorney with a flat fee for uncontested matters, and check that this same attorney charges reasonable fees in the event your uncontested divorce becomes contested. There are now many unbundled law firms that charge by the task which also lowers overall costs for you. 4. Will you keep me informed with what’s going on with my divorce? Be sure that your attorney’s office has a person on staff whose job it will be to follow your divorce case from start to finish. And be sure that this individual has a system in place to keep you updated as your case moves through the court system. In other words, this person would know firsthand by looking at your file what’s been done on your divorce case because he or she will have performed the task himself of herself. In some law firms, the really large ones, the tasks of case management are divided between multiple individuals, which means you are dealing with different people all the time depending on the stage of your divorce process.The most you should stand for is for a case intake person to turn you over to a case manager who performs pretty much all tasks on your divorce after it’s been filed at court, rather than your file going from individual to individual who perform different tasks as your divorce case progresses through the court system.When there is more than one person working your divorce file, you end up talking to a different person nearly each time you call for a status check. This might confuse you, or at the least leave you a little insecure as to actual status of your case and you want to feel totally confident that the matter is proceeding as it should at all times. Also, when case management is broken down between different individuals in a divorce law firm, the individual you talk to today might not be familiar with anything that might have become slightly different with your divorce compared to other Nevada divorces. When only one case manager handles the tasks related to your divorce, this individual will remember those things that set your case apart as he or she reads the notes in your file because he or she will have performed all the tasks related to taking your case through the court system. 5. Can you work out a deal with the other attorney? Perhaps. Find an attorney for whom this is the norm. Some attorneys tend towards mediation and some tend to “shoot first and ask questions later.” You really don’t want the latter kind of divorce lawyer, unless your spouse has already demonstrated that he or she will be totally unreasonable and you feel you need to be overly aggressive. It is NOT recommended to go this route. The only winners are the attorneys. If the attorney you retain is more in favor of collaborative divorce and is himself or herself a mediator, he or she is a lot more likely to open up a discussion on settlement with your spouse’s attorney if your case becomes contested. This saves you not only time and money, but a lot of emotional stress on you and your children. A skilled negotiator and mediator is often better in a divorce situation than an aggressive trial lawyer because over 90% of divorce cases settle in order for the Court system to function. As a matter of fact, the very first thing the court orders when a divorce becomes contested is a mandatory Case Management Conference which is essentially divorce mediation. Family Court wants to see everything done that can keep the divorce from going to trial, and wants as many issues as possible resolved before the divorce trial if it becomes unavoidable. 6. How many cases have you taken to trial? If you are filing a one signature Nevada divorce, even if you don’t anticipate that your divorce will be contested, find out if your divorce attorney has any divorce trial experience. This will avoid you the extra expense of having to retain a new attorney in the event your spouse does decide to contest your Nevada divorce. Some attorneys charge a flat fee for uncontested matters and will credit all, or at least a portion of, those uncontested divorce fees towards your contested divorce. 7. How well does the attorney and staff communicate with you? A good Nevada divorce lawyer knows how to communicate. Does this divorce attorney and his staff talk to you in plain English or confusing legalese? Does the attorney write well? Does the staff write well? Are you easily able to understand what the attorney and staff communicate to you? Chances are high that the writing style used in general communication with you will find its way into your divorce documents filed with the Nevada Divorce Court. 8. How well does your divorce attorney know the judges in the court where your case will be filed? This is important. Judges are people too, with personalities and quirks and attitudes and their own set of morals. Sure they have to follow divorce laws, but in a discretionary court such as family courts in Nevada, they do have a lot of discretion in decisions they make. If your divorce lawyer is familiar with the judges, he or she might know that, depending on your particular situation, it might be best to request a different judge right at the outset of your divorce. Your attorney would make such a decision if he or she happens to know that the judge to whom your case is assigned is particularly conservative with any certain issue that affects you personally. Say that, for instance, you need all the alimony you can get, you know your spouse can afford to pay it, and the judge assigned to your case is known to be less than generous when it comes to granting it; you’d want your attorney to file a Peremptory Challenge to get a new judge assigned to your case in the hopes that the new judge is more understanding and generous when it comes to alimony. Or you want full physical custody of your children but the judge assigned to your case highly favors joint physical custody and is not really likely to grant you full physical custody. Only an attorney with lots of experience at the court where you case is going to be filed would know your judge well enough to determine these things. In the case of family court in Las Vegas for instance, there are 23 family court judges at the time of this writing. Only an attorney with many years of experience of filing cases in that court would know enough about 23 judges to know how any of them think when it comes to any issue that is of particular concern to your own divorce. Have any questions for our Nevada divorce attorney?